Impressions: The Funky Flipper measures just over two inches in length but this bait's story begins with its over all teardrop shape that really resembles the vintage Griffon that's been sitting within a Plano box baking in the sun for several hours causing it to balloon up from the inside. If only the bait's eyes were bulging out of their socket like a fish suffering from the bends. It comes with a bill that is angled straight down and two very sharp, thin wire hooks with regular in-barbs. 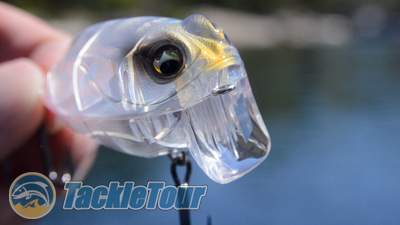 The Funky Flipper is a sub-surface crank. Real World Test: I was really anxious to get this bait out on the California Delta and retrieve it over submerged weedbeds at high tide early in the season before those weeds began to grow and lay down on the surface, but with all the water Northern California received this past Winter and Spring, much of the Delta was closed off to boating, so the review cycle for this bait was a little longer than anticipated as a result. It comes with a #4 Katsuage hook on the front, and a smaller #6 sized treble on the back. 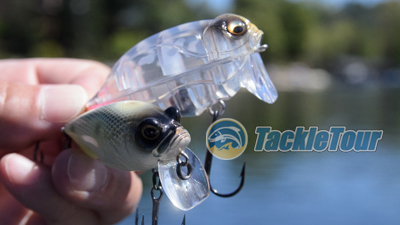 Castability : The Funky Flipper is a somewhat compact bait at just over two inches in length, but it has a good heft to it at a full half ounce. The bait is weighted with a fixed bearing right in its belly and it casts like a rock - literally. 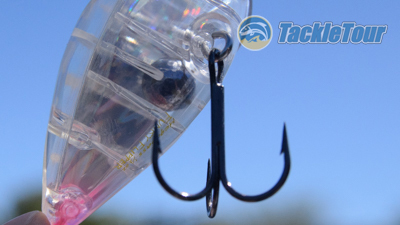 Thanks to its smooth, rounded shape, you can easily skip this bait into tight quarters and cause all kinds of ruckus on the way back out. There's one internal bearing fixed in the bait's belly. Ease of Actuation : Whether you retrieve fast or slow, the Funky Flipper goes to work right away with any bit of tension on the line. 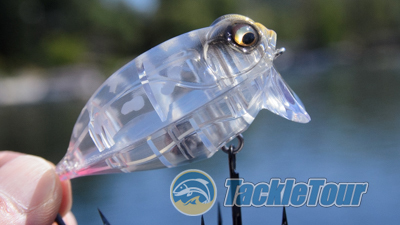 It has a wide, wobbling tail action but also rolls side to side as it wobbles evidenced by the bait's eyes forming a blurred uni-brow as the bait swims back to your position. The Funky Flipper is like a hulked up version of old Griffon Zero. Quality of Movement : On a slow retrieve, the bait will swim at the surface, but on a fast retrieve it will dive just under. If you pause your retrieve and mix in a few twitches of your rod tip, you can make the bait spit water and make a unique blooping sound almost as effective as a popper. This is a really fun bait with which to experiment. This bait has a crazy swimming motion. Position at Rest : Thanks to that centrally located weight in the bait's belly, the Funky Flipper sits perfectly neutral on the surface of the water, half submerged, and half exposed like a turtle's head or frog floating around and chilling on the surface. Thanks no doubt to that super flat bill. The Funky Flipper's availability domestically is somewhat limited as it is not officially a core product within the Megabass of America umbrella but rather a Megabass Japan offering. As such, different colors may be difficult to source but the product is made in at least ten different colors. 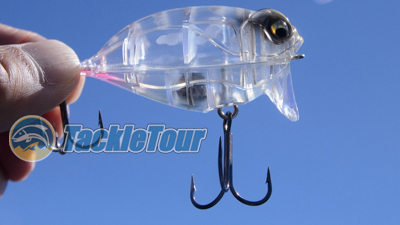 The bait features a larger hook up front (#4) and a smaller hook in back (#6). The Funky Flipper sells for right around $20 per bait. Price & Application: Expect to pay somewhere in the neighborhood of twenty dollars ($20) for this subsurface bait. I had best success with this bait around tree roots and stumps but imagine it would be super effective skipped back under low hanging docks and of course, above submerged grass with anywhere from one to six inches of water above the tallest blades. 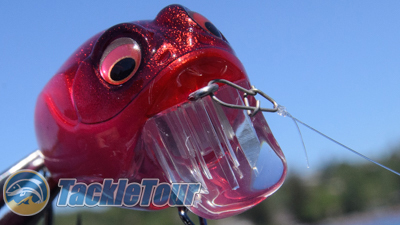 Yes, this bait is funky, but fish it enough and you're liable to flip over it. Conclusion: Leave it to Megabass to keep things interesting with a bait as funky as this. Not only is it easy to cast but once you begin your retrieve the bait dances, wobbles, and wakes with the best of them. 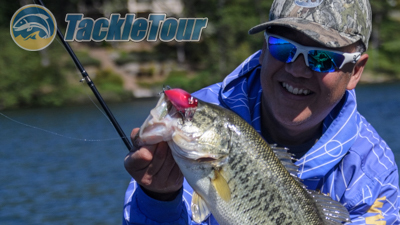 Seeing a fish hit this bait is a rush of adrenaline that will keep you chucking and winding in anticipation of experiencing that bite over and over again. 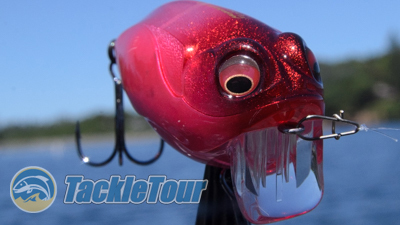 Yes, this bait is funky, but fish it enough and you're liable to flip over it. 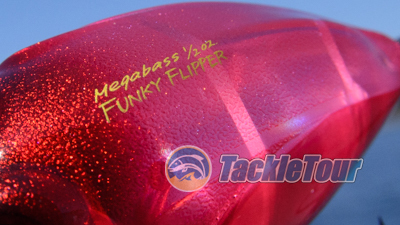 Looking for Megabass Funky Flippers?